File contains a script for a play by Joyce Barkhouse published in The Instructor. 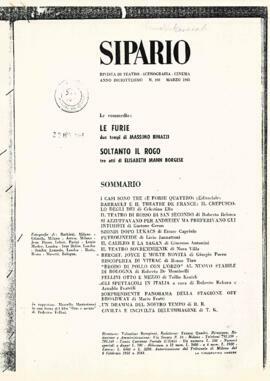 File contains an Italian version of Elisabeth Mann Borgese's play "Only the Pyre." File contains a radio script by Mary Vingoe. The script adapted from the short story of the same title by Joan Clark. File contains a prompt script for "Anything goes" published in 1977 by Tams-Witmark Music Library.